Free download Zed Blade PC game. It is an arcade game developed for Neo Geo system. Zed Blade is basically an aircraft war game. In Zed Blade game, your jet has been sent to different planets of the universe to complete the mission and destroy the major enemy. Zed Blade game is very light weight like all other games of neo geo platform. You can play this game on your computer system by downloading from the given download link below. This is compressed folder, so after download, extract it and then start to play the game. In Zed Blade, you have to select your player. There are three pilots according to low, middle and high speed. Then you have to select the type of shot, missile and rear. After that, you mission will be started. You have to control your aircraft with arrow keys from keyboards. There is a special attack, that can be enabled using S key from keyboard. You can check the available special attacks from the left bottom of the screen with yellow color bullets. And the end of each round, you have to destroy a major enemy. You will get a warning before approaching the major enemy. 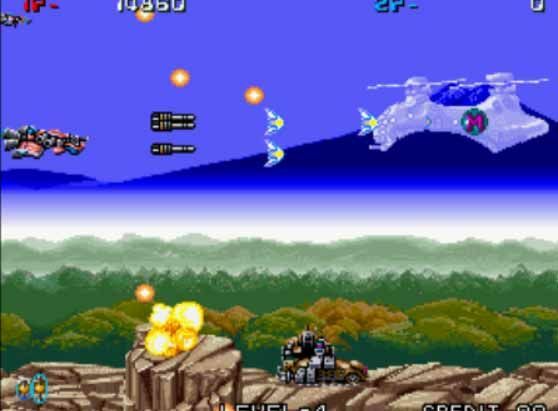 Each next stage will be difficult as compared to previous, so enjoy the battle with your aircraft.